I. Below, we provide information on how your personal data may be collected when using this website. Personal information is all data that can be used to identify you individually such as your name, address, email address, or how you interact with the site. II. The controller per Art. 4 para. 7 of the EU General Data Protection Regulation (GDPR) is MindLINK, Christiane Lechner, Owner, Grünwalder Straße 1, 1st floor, 81547 Munich, Germany Telephone: +49 (0) 89 69386267, Fax: +49 (0) 89 69386256, Email: office@mindlink.info. The purpose for processing this data is to ensure a smooth connection to our website and to evaluate system security and stability. The legal basis is Art. 6 para. 1 clause 1 lit. f) GDPR. The purposes indicated above constitute our legitimate interest in collecting such data. We do not use the collected data for the purpose of making any conclusions about individual users. When we are contacted via email or via a contact form, we will store the data you provide (such as your name and email address) in order to answer your questions. We process this data per Art. 6 para. 1 clause 1 lit. a) and b) GDPR on the basis of your voluntary consent and/or to perform those actions related to a (possible) contractual relationship with us, if that is the subject of your inquiry. When you contact us by telephone, we will store the data you provide (your name and phone number) in order to call you back, if required. As a customer, you can place orders with us. If you do, we will collect your title, given name and surname, email address, postal address, and telephone number (landline and/or mobile phone). The legal basis is Art. 6 para. 1 clause 1 lit. b) GDPR. I. You can consent to receive our newsletter, with which we inform you about our current interesting offers. The goods and services to be advertised will be named in the consent form. II. To subscribe to our newsletter, we use the double opt-in procedure. This means that after you sign up, we will send you an email in which we ask you to confirm that you would like to receive the newsletter. If you do not confirm the registration within 24 hours, your information will be blocked and automatically deleted after one month. In addition, we also store your IP addresses and the time you register and return your confirmation. The purpose of the procedure is to verify your registration and, if necessary, to clarify a possible misuse of your data. III. The only information we require to send the newsletter is your email address. Any other further information is voluntary and is used to address you personally. After your confirmation we will save your email address in order to send the newsletter. IV. The legal basis is Art. 6 para. 1 clause 1 lit. a) GDPR. V. You can revoke your consent at any time and thus unsubscribe from the newsletter. You can declare your revocation by clicking on the link provided in each emailed newsletter or by contacting us in one of the ways listed in the legal notice. The system forwards the data automatically to the provider, which operates its servers within Europe. The data that you send via the contact form will also be forwarded to this provider, since it provides the site's email server. Within the company, only those who need your data to fulfill our contractual and legal obligations have access to it. Contractors used by us may also receive data for these purposes. These are companies providing IT, telecommunications, and consulting services. - public authorities and institutions if required by law or government regulations. - this is legally permissible and necessary per Art. 6 para. 1 clause 1 lit b) GDPR in order to process our contractual relationship with you. Most web browsers automatically accept cookies. However, you can configure your browser so that no cookies are stored on your computer or to have a message always appear before a new cookie is created. If you do not wish to allow cookies, an opt-out cookie will be set in your browser. This cookie is used exclusively to record your objection and prevent the setting of further cookies. If you prevent the setting of cookies, this may result in individual functions of the website no longer being available. Please also note that an opt-out cookie only works within the browser in which it was set. In addition, cookies that were set during a visit to other sites will not be recorded. However, you can delete all cookies from your browser at any time. Instructions can be found in the help function of your browser. You can also check out of Google Analytics by clicking on the following link: Yes, I'd like to check out. This website uses Google Analytics with the "_anonymizeIP()" extension. As a result, IP addresses are only processed in truncated form in order to prevent Google from identifying specific individuals' use of the site. If the data collected about you is personally identifiable, it will be blocked immediately and the personal data deleted as soon as possible. We use Google Analytics to analyze and regularly improve the function of our website and make it more interesting for you as a user. The legal basis for the use of Google Analytics is Art. 6 Para. 1 clause 1 lit. f) GDPR. Google has agreed to comply with the EU-US Privacy Shield, https://www.privacyshield.gov/EU-US-Framework with regard to any personal data that is transferred to the USA. The website uses Google Maps to display geographical information visually. When using Google Maps, Google (Google Inc., 1600 Amphitheatre Parkway, Mountain View, California, 94043) also collects, processes, and uses data about the use of the Maps functions by website visitors. We use Google Maps on the basis of a legitimate interest in optimizing our website within the meaning of Art. 6 para. 1 lit. f) GDPR. You can also check out by clicking on the following link: https://adssettings.google.com/authenticated. This website uses Ajax and jQuery technologies in order to optimize download/upload speeds. This involves accessing program libraries from Google servers. Google's content delivery network (CDN) is also used. If you have previously used jQuery on another Google site, your browser will instead use the cached copy. If this is not the case, it will need to be downloaded, which will result in the transfer of data from your browser to Google, Inc. ("Google") servers in the USA. You can find out more under: https://developers.google.com/speed/libraries/#jquery as well as under the data protection policies posted at google.de. For this purpose, your browser will make a connection with the servers of Fonticons, Inc. Fonticons, Inc. will thus be informed that our website was accessed via your IP address. The use of web fonts is done in the interest of a uniform and appealing presentation of our website. This constitutes a legitimate interest pursuant to Art. 6 para. 1 lit. f GDPR. If your browser does not support web fonts, a standard font will be applied instead by your computer. The links published on our website are researched and compiled by us with the greatest possible care. However, we have no influence on the current and future design and content of the linked pages. We are not responsible for the content on the linked pages and expressly do not make any claim that their content is our own. Only the provider of these third-party sites is liable for any illegal, incorrect, or incomplete content and for damages resulting from the use or non-use of such information. Liability is excluded for the party linking thereto. We are only responsible for links if we have positive knowledge of any unlawful or criminal content thereupon and if it is technically possible and reasonable for us to prevent their use. - per Art. 77 GDPR, to file a complaint to a supervisory authority with jurisdiction for your customary domicile or place of work or for our registered office. The Bavarian Data Protection Authority, Promenade 27 (Schloss), 91522 Ansbach, Germany, phone: +49 (0) 981 53 1300, fax: +49 (0) 981 53 98 1300, email: poststelle@lda.bayern.de is the authority with jurisdiction for our registered office. If your personal data is processed based on legitimate interests per Art. 6 para. 1 clause 1 lit. f) GDPR, Art. 21 GDPR gives you the right to object to said processing for reasons arising from your particular situation. If you lodge your objection, we will no longer process your personal data unless we can prove a compelling legitimate interest in its continued processing that outweighs your interests, rights, and freedoms, or if the processing serves to assert, exercise, or defend our legal claims. Address the objection to us; an email sent to: office@mindlink.info is sufficient. I. No complete user IP addresses are stored and will be deleted immediately after you stop using the website. II. Any user data will be deleted by no later than seven months after it was collected. III. If you contact us by email, via the contact form, or by telephone, the data thus collected will be deleted 6 months after the last communication. This applies only if the contact is in reference to a specific customer relationship. In this case, a memo concerning this contact may be placed in your customer file. The data may be stored for up to ten years if required by law. After that, the data will finally be deleted. In the meantime, the data will be blocked to prevent easy access. This blocking will be implemented at the end of the year following the end of the contract. IV.The personal data collected by us for the processing of your order will be deleted once the contract is terminated unless otherwise required by law. The data may be stored for up to ten years if required by law. The data will subsequently be deleted. In the meantime, the data will be blocked to prevent easy access. This blocking will be implemented at the end of the year following the end of the contract. Providing information is necessary when collected for server log files. Providing personal data, such as your name and email address, is also necessary when you use the contact form. In addition, when you place an order, your name, address, email address, and other information must be collected. The provision of any further data is voluntary. Automated decision making as defined in Art. 22 GDPR does not take place. Personal data is processed for the purpose for which it was collected. We will not change how it is used. 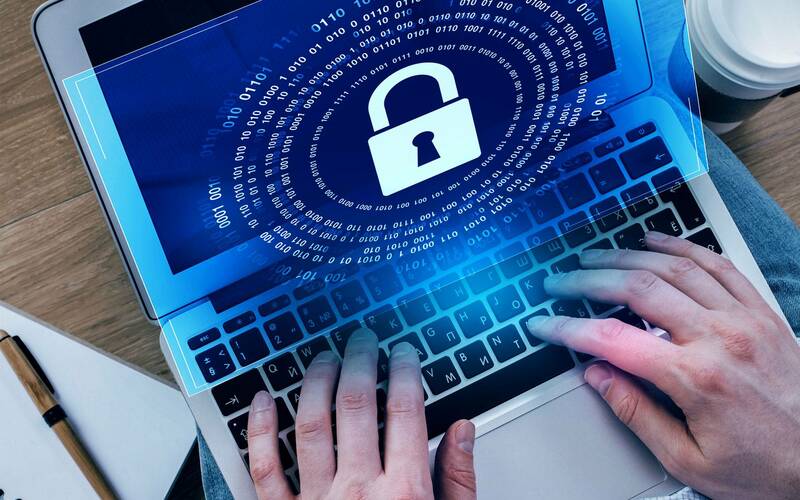 We also use suitable technical and organizational security measures to protect your data against accidental or intentional manipulation, partial or complete loss, destruction or unauthorized access by third parties. Our security measures are continuously improved to meet state-of-the-art requirements.